You can jump between displays to find the information and updates you need. Additionally, you can customize up to four display preferences. If you plan to share your vehicle, you and the other driver can save settings. The VW Digital Cockpit also stores cabin temperatures, seating positions, and side-mirror positions. What Does the VW Digital Cockpit Include? The 12.3-inch, thin-film transistor (TFT) creates 1440 by 540-pixel resolution. The display is positioned ahead of the steering wheel, so you don’t have to squint to read the screen. You’ll gain access to all sorts of information, from navigation directions for the best brunch sports in Alexandria to safety system updates like Adaptive Cruise Control. You can view your contact list via the display and use the steering wheel-mounted controls to place and receive calls. Which VW Vehicles Offer the VW Digital Cockpit? 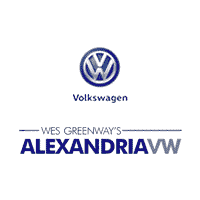 Try the VW Digital Cockpit in Alexandria! Check out the Tiguan, Jetta, or VW Atlas Digital Cockpit at Alexandria Volkswagen! Contact us to schedule a test drive near Washington DC and Springfield and we’ll put you behind the wheel of a model with the VW Digital Cockpit. Don’t forget to ask about other great VW technologies, such as 4MOTION® all-wheel drive.